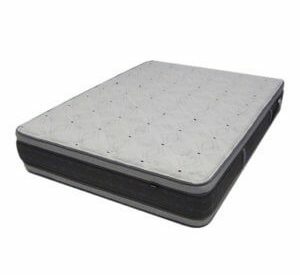 How To Get Rid Of Air Bubbles In My Water Bed Mattress? Having starting in waterbeds over 26 years ago it’s a question we are often asked. 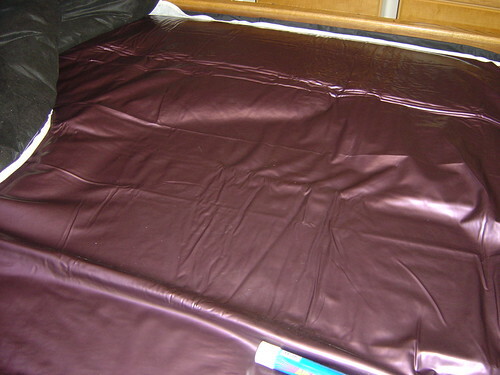 People also want to know “How do you know when to burp your waterbed?” We tell them “Don’t worry the waterbed will tell you itself when it needs to be.” When it needs this easy to do service, the mattress will make a lot of unnecessary noise caused by collected air bubbles or pockets of air. These large pockets of collected air are not only noisy but make the water mattress very uncomfortable to sleep on. A mattress that has had all of the air bubbles removed will be a quiet and comfortable because it. The air pocket or ballooning affect as we like to call it is especially obvious with 2 people lying down on the bed. Another possible reason for have the mattress balloon up would be is if the mattress is overfilled. Overfilling your waterbed will also make it much harder to burp and extract air. 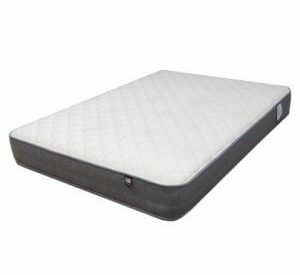 Many people think that if their mattress is not transparent you cannot tell if it needs to be burped but you will see blisters or bulges on the top of your mattress when it should be flat . Where does the air in a water bed come from? How often you burp your waterbed will depend on how much air is in the water you filled it with. If the water company has aerated your water it will require more burping. Some air is flushed into the mattress by way of the garden hose in the filling process. People often ask why after they get rid of all the air in the mattress that the bubbles just seem to come back year after year? We remind them that water is part oxygen and some of that oxygen and will collect and form small bubbles. These smaller bubbles collect into larger pockets that then need to be expelled out of your mattress. This is done by something we call in the industry “burping”. 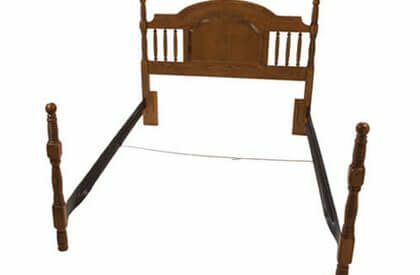 To burp our beds in the store or after an install we remove the cap and plug that enclose the mattress after pulling up the valve to the up position. We then lie across the bed at the headboard end and slowly roll to the foot end where the valve is. If you have a helper ask them lift the valve up several inches away from the water so that the water will not spill over or spit out of the valve as you herd the air bubbles towards the valve. You can also use a broom handle or something similar such as a yardstick, to herd the bubbles to the valve. Just make sure there are no sharp points on what ever you use. If you have a tube bed lift up the end of each tube one at a time, take the cap off the tube and run your hand the length of the tube herding the air out of the open valve and then recap it. You can repeat this process for each tube. Keep a towel handy for any expelled water or spillage. Reminder: keeping the air out of your waterbed is a major factor in its’ comfort, so keep it burped. Hope we have answered the question of How To Get Rid Of Air Bubbles In My Water Bed Mattress? 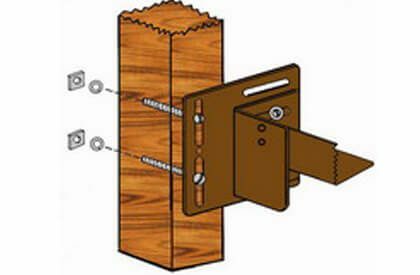 Have some tips you would like to share be sure to comment and share them with our readers. My grandson loves to jump on my waterbed. Will jumping on it produce more air bubbles? I had all the air out and just the right amount of water for the firmness I like. Now I hear sloshing noise from air bubbles and it’s not as firm, it’s kind so saggy. Will that keep happening if he keeps jumping? Can you give me any advice? Besides keeping Justin off the bed? Thanks! Marty, It you build an off road 4 x 4 and you drive it on the smooth streets of town it is likely to be a long time before something eventually fails or wears out. Take that same 4 x 4 off road and run it through its paces, mud, rocks, and climbing etc. The stresses are going to lead to failure. It is no different with anything else including your water-mattress $$$.